Comments: This is a cryptomeria that produces a dense relatively small evergreen tree with a pyramidal form. It is a popular selection for bonsai work. 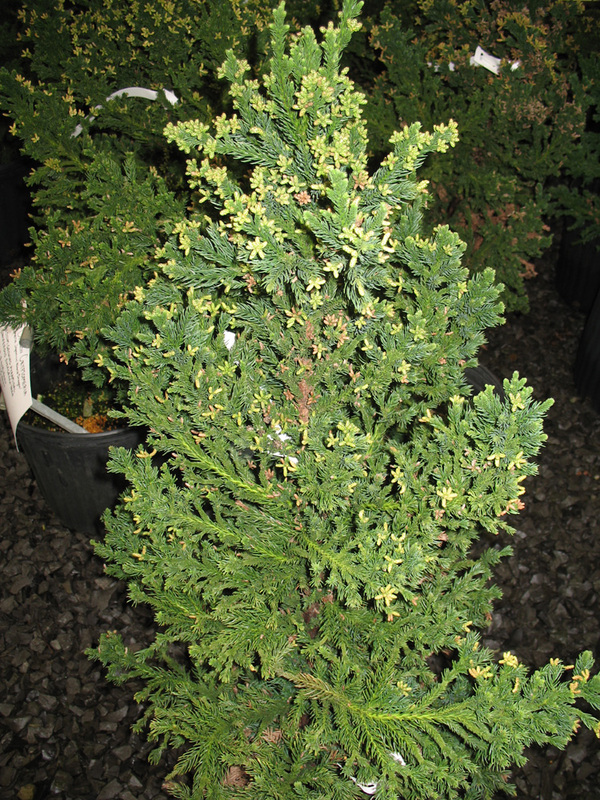 Because this is a semi-dwarf evergreen it is well adapted to relatively small spaces where larger trees cannot be used. Protect trees from drying winds.